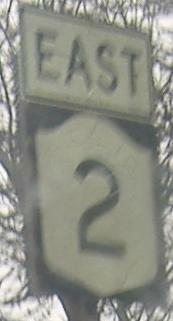 NY 7 reference marker on NY 2, but it can be explained. 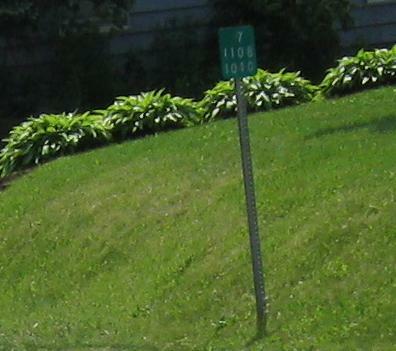 Before the NY 7 freeway was built from Latham to Troy, this was 7, and 2 began on the other side of Troy. 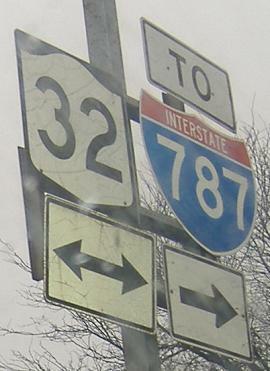 Westbound; the arrows are a generation older than even the NY 32 shield and are pointed at the tips instead of rounded. EB in the same spot, with too much of everything on the assembly. 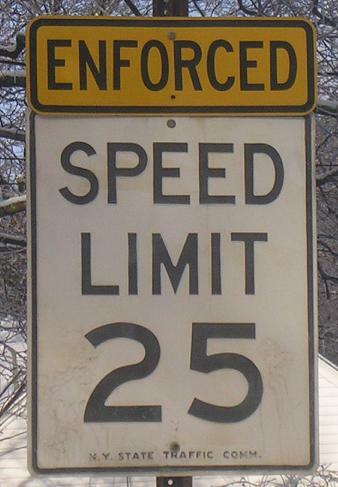 Fewer arrows, one less NY 32 shield, and more directional banners would go a long way. 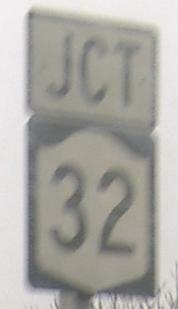 Eastbound on the bridge into Troy, the only LGS on the bridge. 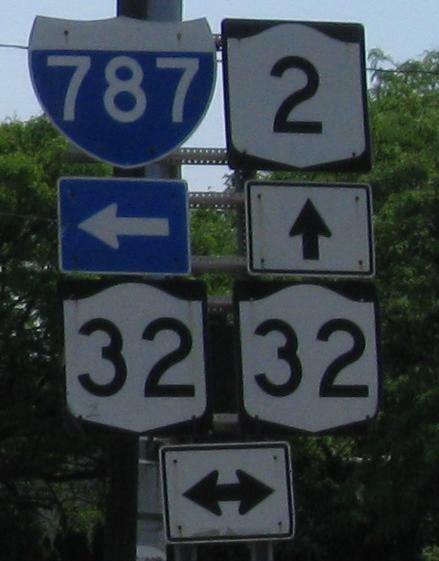 NY 2 WB, the River Street approach to the Watervliet bridge. 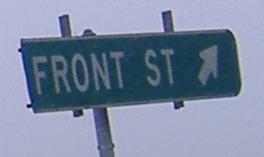 This style of curve sign, including the arrow and font, date most likely from the 1960's but could be from a few years on either end of that decade. 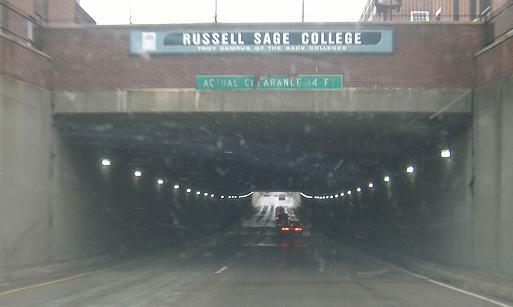 Ferry Street, NY 2 EB, underneath the college and 1st/2nd Streets. 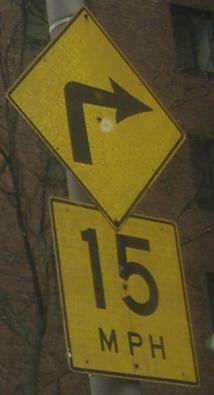 These signs are on 15th St., former NY 7 (according to Doug Kerr's old map), southbound at the one-time beginning of NY 2 east of downtown Troy. 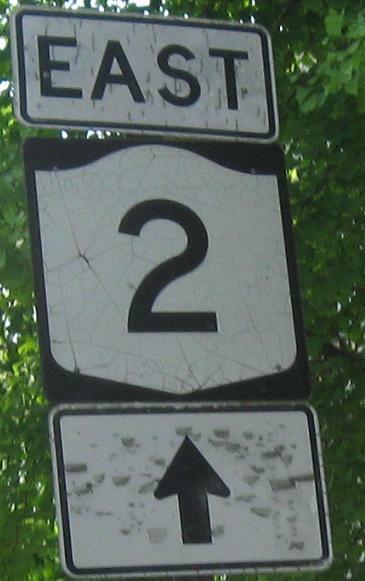 Very old signs just off of NY 2 in Rensselaer County west of Petersburgh, courtesy John Krakoff. 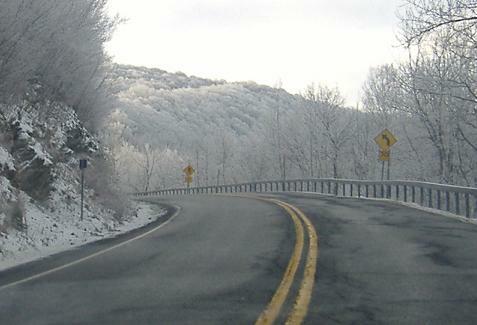 Driving up the Taconic Trail toward Petersburgh Pass, the winter trees turn from brown to white with no warning. 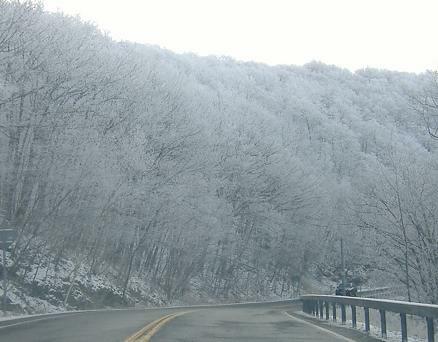 That's not snow coating them, that's ice. 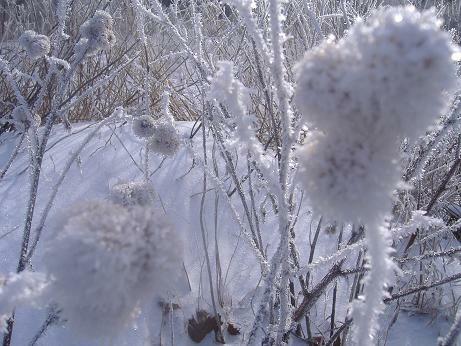 Closeup of ice coating a flower bud. It had been well over 50 degrees just a day or two prior, which is why there was anything here at all for the ice to coat. Looking south from the top of the pass. 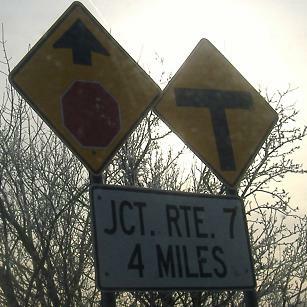 The sign at the top of Petersburgh Pass heading east, meaning that "Route 7" is in fact US 7 in western Massachusetts. 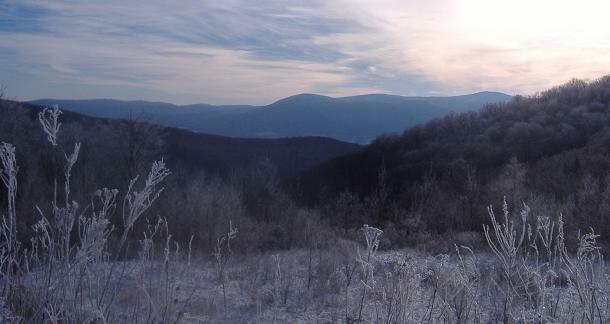 The state border is just east of here on the way down the mountain. 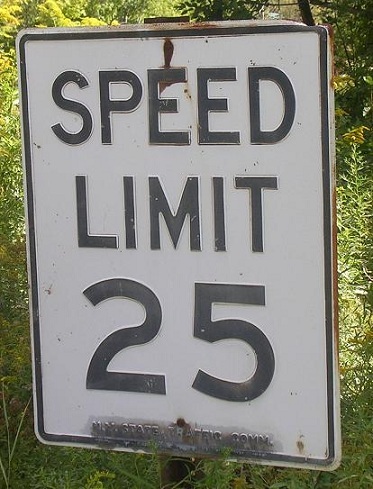 Because the next four miles are sloping downward fairly steeply, this is an apt warning, but perhaps the longest advance stop sign warning anywhere.